Graffiti techniques and tricks and have grown tremendously over the years, and from its underground roots on the gritty streets, they’ve been past on and developed through word of mouth for years. But here at Bombing Science, we want to share our experience and knowledge of graffiti with you. 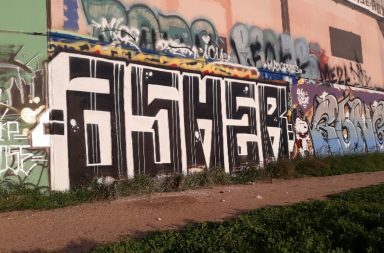 We came up with some in depth analysis and some of the fundamentals of the graff game in this graffiti tutorial, all to help you master the craft. Nothing can bring you those super sharp outlines and flawless colour schemes quite like going out there and getting your hands messy, but in the next few pages we explore the theory and some tips behind the essentials of graffiti. You’ll learn how to paint a graffiti piece from start to finish. We start off breaking down the basics of graffiti tools, from can control to cap selection these are the essentials that everything else will be based off. 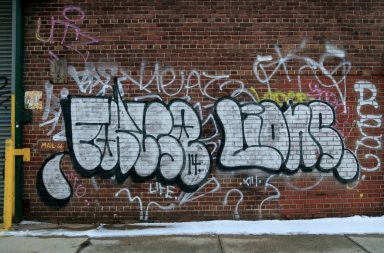 Once that’s wrapped up, we jump into letter structure, the foundation of any graff piece, which resonates from tags to burners. Once letter structure is established, style is then explored creating a sense of originality to a piece or throwie. From there we delve into the intricacies of the trade, by exploring all the extra features when painting, from extensions to cut backs we cover them all so you can get a feel for when to use what, and why. Finally we jump into little tricks that often go overlooked but can come in handy in a big way. So get ready to get schooled in our Bombing Science graffiti tutorials and be sure to check out our tutorial videos as well!